Are you ready for RED Day? Let’s make an impact in our communities!! 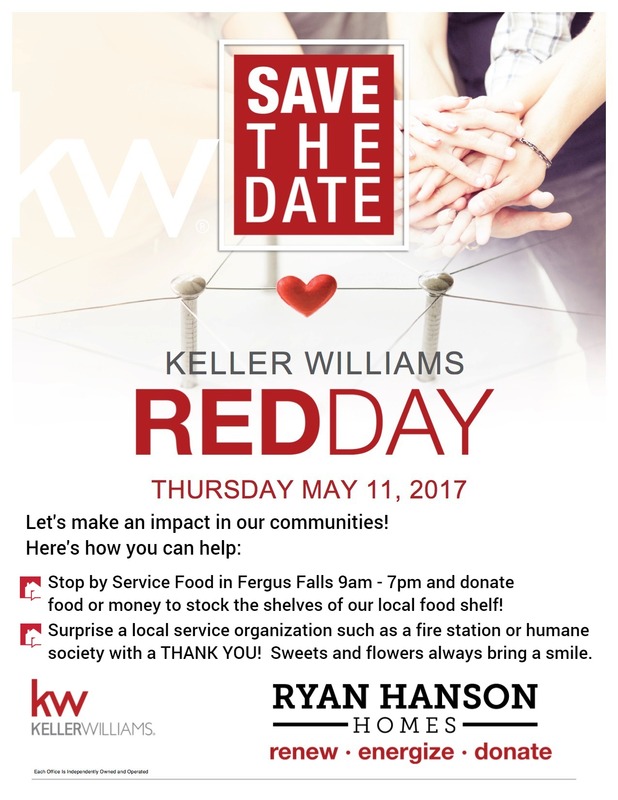 1) Stop out to Service Food in Fergus Falls 9am-7pm and donate food or money to stock the shelves of our local food shelf! 2) Join us in giving surprise visits to service organizations in our communities. Sweets and flowers always bring a smile! Who’s ready to join us and give where you live?